Ouabi took over the leadership at the top of the Premier League table from Antonio with another 6 victories out of 6 games. He continues his perfect 100% win record thus far; with the only blemish being the solitary goal he conceded against Sham. 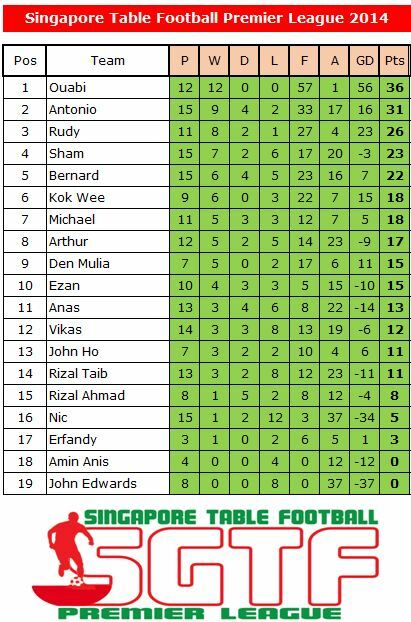 Other upward movements in the table include Bernard moving up 1 place to 5th; Michael moving up 2 places to 7th; and Ezan moving up a significant 5 places to 10th. 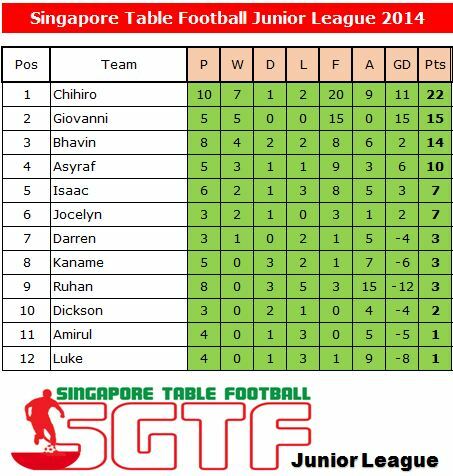 Over in the Junior League, Chihiro stayed top of the table but not before dropping his first points against Luke & Giovanni. Luke did well to hold Chihiro to a 1-1 draw while Giovanni steadily moves up to 2nd place behind Chihiro with a thumping 4-0 win. He is now the only player remaining in the Junior League with a 100% record of 5 wins out of 5. Elsewhere, Bhavin stayed 3rd while Isaac moved up 1 place to 5th.